I’m still so grateful to High Country News for this! To be in this publication is one of those incredible moments in life. I’m only putting it in here now, instead of sooner, because I’ve just been pre-occupied, I guess you could say. Please read. High Country News Love! I left Facebook. Maybe it's permanent this time. Heh. I hope so. It's a hard place for someone who insists on reading between lines that may or may not exist. Writing a song with the help of the wonderful Peter LeClair. http://www.peterleclairmusic.com/. He teaches where I teach (one of the many places where I cobble together my teaching life) - we artists do that teaching thing or is it that we teachers do that art thing. You know? Peter's on itunes and spotify and such. He's so kind. He matches his voice to mine. His singing voice is Like Butterrrrr. So. The song's coming along. Not ready to share it yet...soon, though. Next time I send a letter out maybe. Please give Peter all The Love. Weekend intensive (starting 6/15) at Newberg. Weekend Memoir Workshop. Come!!! I have this friend who calls me from time to time. Low voice. Melodic. Like Ron's beautiful, low vibration. Puurrrr. Hmmmm. Leaves wonderful messages he knows I won't return - The Friend, not Ron. The Friend says, "I know you're going through ups and downs and I know you care and you can't always call me back." I tell him, "I'm a terrible friend." He says, "I'll always be here." I lost my Best Friend in The Divorce and then I gained a Friend because of it. I guess that's the way of it. I'm meeting him for lunch tomorrow. He's giving me a two-hour window to get it together because He knows I'll need that. We laughed about my State and it was good because he accepts it completely. He doesn't put me in any box - superior/inferior/etc. He never says awful things like, "You're just sad" or "You just need to find what's important to you." And, He knows an hour and a half will be spent in bed and a half hour in panic, brushing my hair, and driving there. He's in the Next Book. He's chosen his fictional name. He's wondrous and amazing, deeply generous and has A Past. He says, "There are a lot of people who have stories, but can't write them and never will be able to. You can write so you can write for them – not for those other people." Here's to hoping I can write what needs writ. You, too - in whatever form your writing takes. Go. P.S. The ducklings (I call them my Pet Outdoor Ducks) are nearly grown. They're beautiful and new-feathered and strong. I was out feeding ducks one day. A man comes up with a huge bag of oats. He's whistling. He says, "I'm whistle training them." They're flying in. He's throwing oats. He's whistling. I stifled laughter. It was just too beautiful to laugh. There's one male who has the deepest deep green plumage I've ever seen. He's spectacular. Here's a book trailer made by the wonderful Kalimah Abioto. Thanks to Hawthorne Books for the publishing thing. Was a ride! Hope you like the trailer Kalimah and I made. California Calling by Natalie Singer: In Conversation with Jenny Forrester at Powell's! Natalie Singer and I will be talking about her new memoir, California Calling, published by the Mighty Hawthorne Books! Come to the downtown Powell's, Portland! See you there. 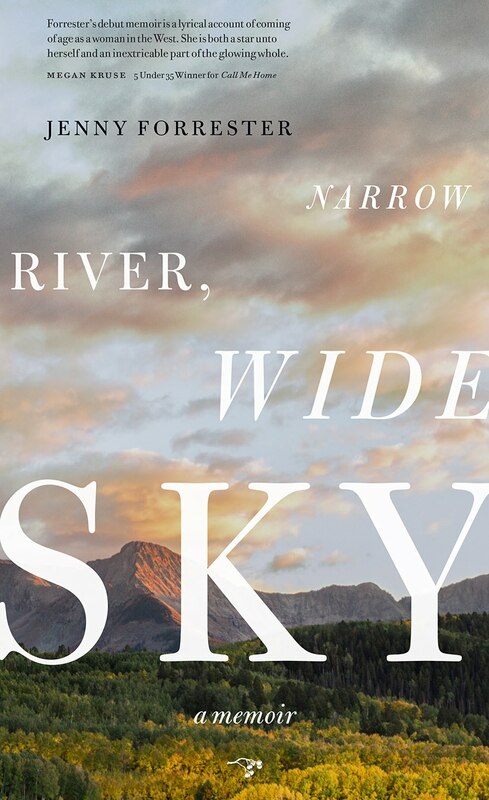 Hoping to connect with Colorado's wonderful writing community at the Colorado Book Festival where the wonderful Tattered Cover will be selling Narrow River, Wide Sky: A Memoir. See you there! 3/3. 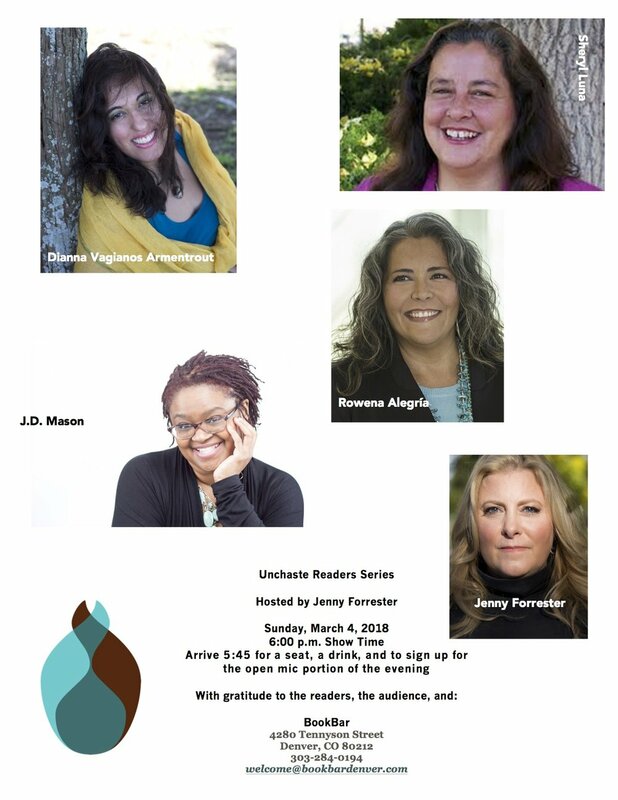 Also, reading at BookBar on 3/4 with some incredible local authors. There'll be an open mic so sign up at 5:45 and get some food and settle in for an evening of words. Come! Ariel Gore, author of many books, including the very recent We Were Witches: A Novel is offering a space for me to teach another online class through the Literary Kitchen. We are all of us surviving chaotic times—and when are times not chaotic? We have to eat and fight the war against fascism. We have to sleep and sign petitions and march. We have to make some kind of home in particular landscapes within particular bodies. It’s all so precious, extraordinary, and important – these small victories and massive defeats and places we’ve left and places we’re headed whether we’re talking about this apartment or that plot of land or something is happening to our bodies and so we have to move into all kinds of change away from what was once comfortable or at least, less painful. Let’s write this landscape together of water glittering and nuclear suns and fear and grief and beauty in spite of, and because of, everything. Let’s write the war within and without. Let’s see what we can save and especially let’s write to save ourselves. Register here! Class begins 2/17. To stay in touch and get news/words/etc. weekly, sign up here for the email list. Various Writing Opportunities: Come Write With Me! This workshop is at the beach in Washington at the Sou'Wester Lodge. Sunday, January 28th at 10 am. until 4 p.m. for $60. Consider staying the night in one of the unique and wonderful trailers or in a room in the lodge. This class is a Saturday morning ongoing shindig at PCC in Newberg starting January 20th and goes through March 17th. 10 a.m. to 11:50 a.m. $119.00. Write a thoughtful memoir that reads like fiction. Focus on craft techniques including that page-turning quality that's as important in literary memoir as it is in mysteries. Bring 10 pages of your work, highlighter and sticky notes. Let's write the river together. 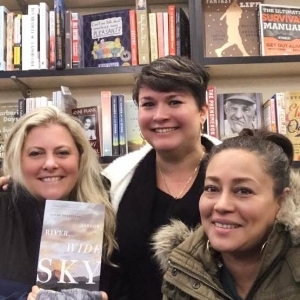 Love to Michelle Ruiz Keil and MK Chavez and Annie Bloom's Books. When Your Book's at Target! This is so exciting! The book's selling at Target. The book's also available at the airport! Much thanks to everyone for making wonderful things happen for this story. Narrow River, Wide Sky: A Memoir Made the Multnomah County Library's List! "A beautifully-written memoir that explores some of the deep divides in our nation through the lens of one life, one coming-of-age. Timely, humble, human and lovely." - Haley I. Much thanks to Haley I.!